Today’s post is dedicated to the lovely and brilliant Sarah, a colleague and friend of mine. Her wedding day to (husband!!) Chris was October 11, 2014. 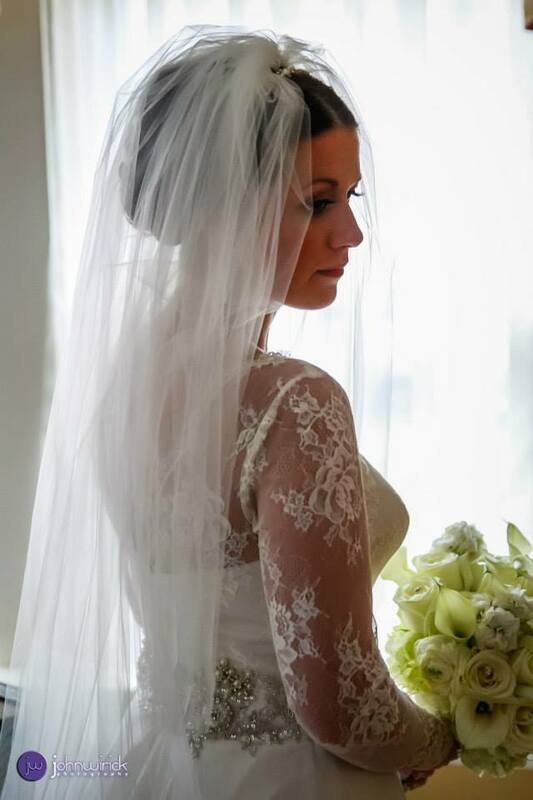 Sarah was radiant and rivaled the Duchess of Cambridge in beauty (sorry, K-Mid). 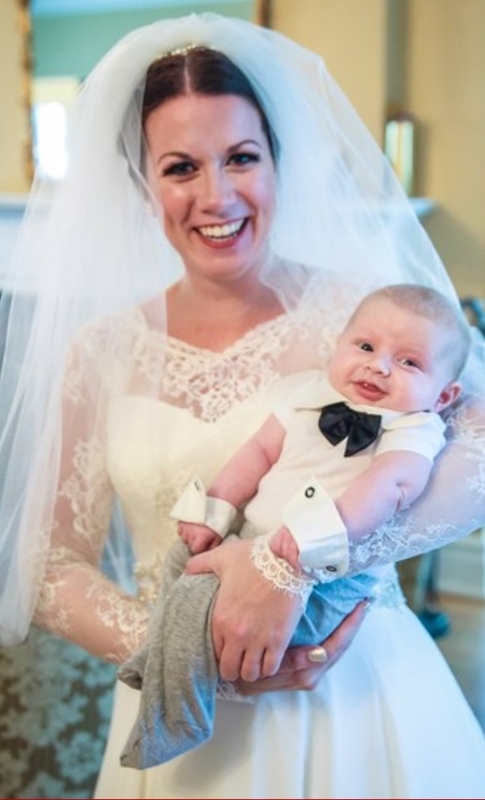 Sarah and I are both teachers and anytime one of our colleagues gets married or has a child, our staff typically throws a little shower for the new bride/groom or parent-to-be. Well, since I was head of the planning committee for this one, I decided to get creative and make her a Wedding Wishing Well. And, if Sarah is anything like me, I thought this idea would be perfect if she’s experiencing post-wedding depression (umm..it’s a thing). This project is perfect as a group gift, a workplace gift, a bridesmaids group gift to the bride, or even a family gift. “The concept of a wishing well has been around for centuries. It is a tradition that a wish would be granted, especially if a coin was thrown into the water at the same time. The belief appears to have been born out of the many different folklore stories about how gods or saints gave water to the people in order for them to flourish and this was simply a way of paying them back. Other stories state that your wish would only come true if you would drop a coin into the well after you placed a wish, and the coin landed face up at the bottom of the well. The Wedding Wishing Well has established itself as a traditional way to collect envelopes, checks, and other monetary gifts at weddings, and bridal showers. Similar to a traditional wishing well, the gift giver is wishing for good luck, prosperity, and a successful marriage for the new couple. The Wedding Wishing Well works well in today’s day and age where more and more brides and grooms may already have enough home furnishing and would be better able to utilizes a gift card or other monetary gifts in place of a traditional appliance. 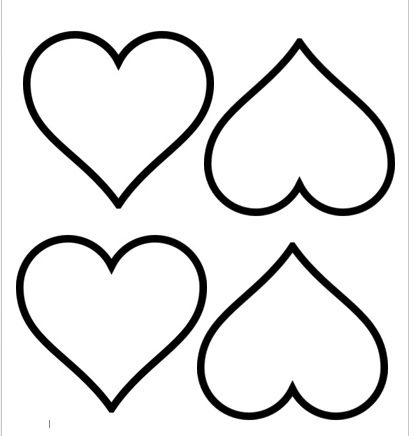 Step 1: Use this Heart Template and print onto colored card stock (I used ivory). Step 2: Give each person that is contributing to the wishing well a heart (or several) and give clear directions of what to write on the heart, when it is due back to you (I gave my co-workers a little over a week), and that they may include a monetary gift to help the couple begin their lives together. (If you’d like to to this gift on your own, you could just fill out all the hearts yourself). Step 3: Once you receive the completed hearts (and if monetary contributions were part of your project) count up the funds and decide (approx.) how many dates you can create. 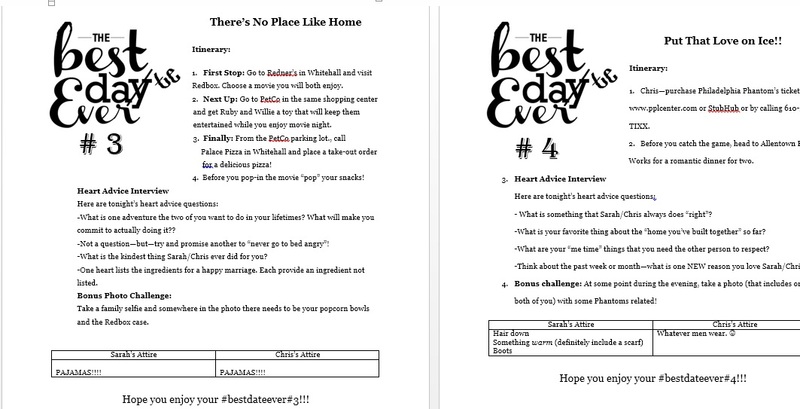 Step 4: Download the Best Dates Ever Template and just delete Sarah and Chris’s dates out of the document. I left them in there if you needed some ideas! The dates should have a clear itinerary, outfit ideas and a bonus photo challenge/date hash tag (perfect for those Instagramers!). Step 5: Glue or tape all of the advice hearts onto the date envelopes. The next step is optional, but, I used the hearts on each envelope to create questions that the couple can answer throughout the dates. 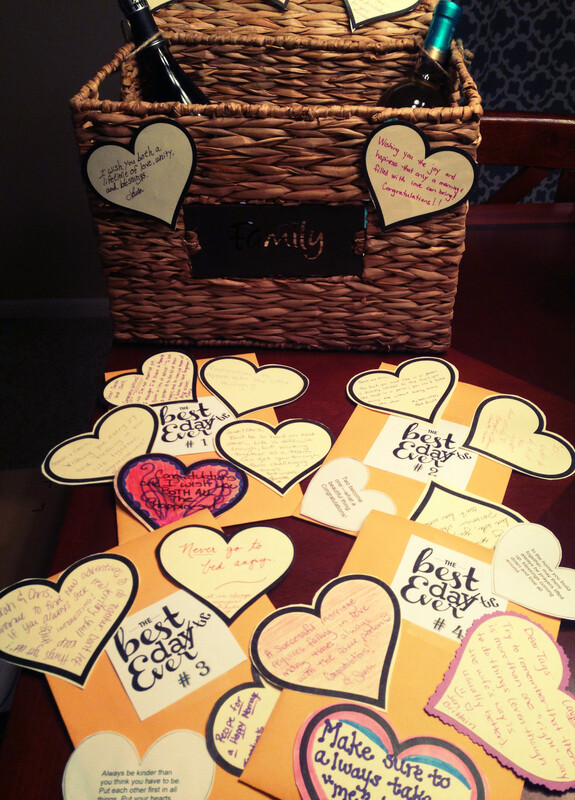 Step 6: Display all of the envelopes in a basket or wishing well. 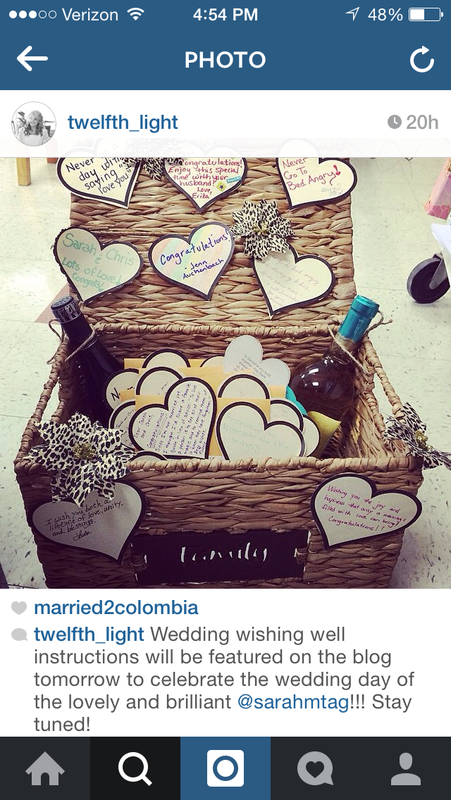 I added two adorably named bottles of wine (Once Upon a Vine and Fancy Pants) and tape the extra hearts on the lid. I finish off the project with leopard print flowers because Sarah loooooves animal print. Here’s the final product! 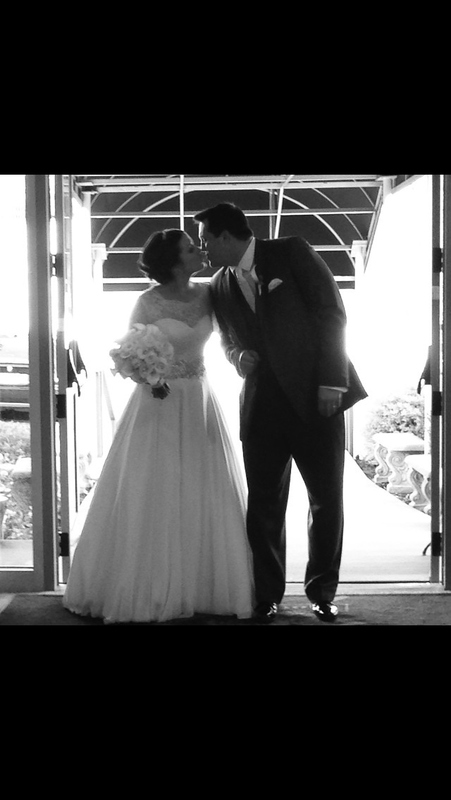 I’ll leave you with proof of how glowing and happy Sarah was on her big day. Small-world tangent: Sarah’s wedding photographer was an old acquaintance who I met fourteen years ago at one of my first jobs! John is so genuine and kind, so if you happen to be in need of any photography services, check out his amazing work here or here. But no, seriously, how adorable is Sarah’s nephew Emery?!?! I cannot handle this. Sarah’s friend Amy captured this sweet candid.